Prepare for battle and head to a free showcase of artifacts, documents, books, and images throughout Texas history at the San Jacinto Museum of History in La Porte. 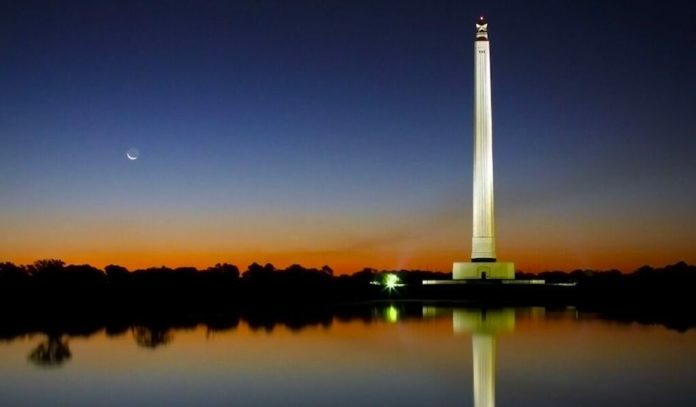 Housed in the base of the San Jacinto Monument, from books to bayonets, swords to sketches, there’s something here for every history buff at this museum. More than just a gateway to a great view, the Museum was established not only to honor those who fought in 1836, but also to re-visualize the history of Texas and the Spanish Southwest. Created as a steward of history, the museum promotes friendship between Texas, Mexico, Spain, France, and Latin America, by providing a gateway to Texas culture. Visitors will find special treasures from Mexican Texas, the Texas revolution, and the Republic of Texas. But the museum also holds art and artifacts from the Spanish conquest, French Texas (a small collection), Spanish colonial life, the Mexican Revolution and the Anglo colonization of Mexican Texas. Texas’s early statehood and the Civil War are also featured. The largest battle reenactment in the state, the production recreates the events leading up to Texas winning its independence from Mexico 181 years ago at the decisive Battle of San Jacinto on April 21, 1836. Visitors can wander freely among the Mexican and Texian camps to learn what the soldiers and their families were doing prior to the battle in 1836. With hundreds of history reenactors, this reenactment — complete with cannons, horses, and pyrotechnics — is the largest in the southwest United States. Click here for more info on the next reenactment. Parking: There will be several lots along Independence Parkway open for the general public. Disabled parking is available at the Battleship Texas parking lot (disabled placard or license plate required) at 3523 Independence Parkway, La Porte, TX 77571.